Iguanas are a herbivorous lizard native to tropical areas of Central America and the Caribbean. Two species are included in the genus Iguana: the Green Iguana, which is widespread throughout its range and a popular pet, and the Lesser Antillean Iguana, which is endemic to the Lesser Antilles and endangered due to habitat destruction. 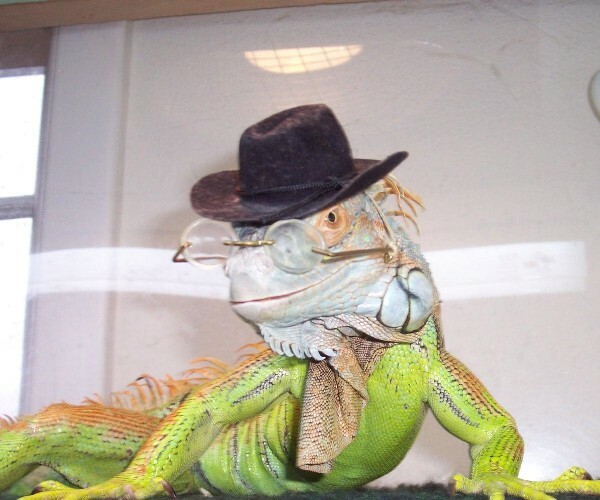 Here you may post messages or questions pertaining to all aspects and issues regarding the keeping, breeding, health, and conservation of Iguanas.